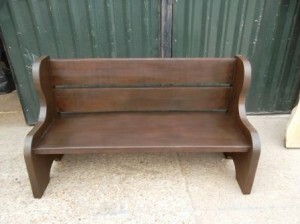 Garden bench handmade, simple yet elegant English Elm garden bench handmade. Designed for a local customer, to sit at the entrance to a stunning barn conversion. 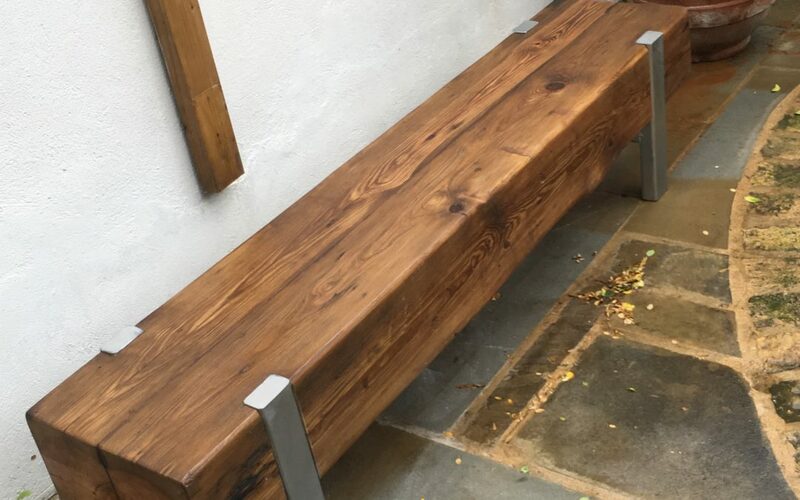 Once a very common timber that has now become very rare due to Dutch elm disease, the garden bench was made from a slab 55mm thick so will last a life time. Picture 1 is of the Garden bench in its natural colour, with picture 2 showing it stained to match its environment. just get in touch and we will work with you to achieve your ideas.